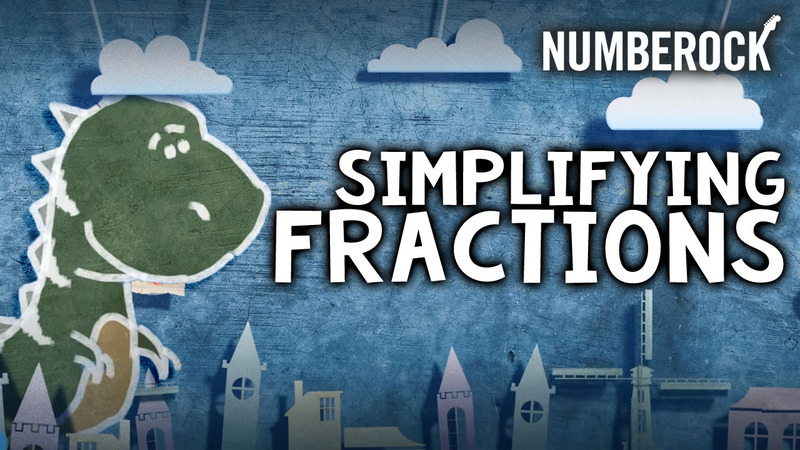 Multiplying Fractions by Whole Numbers shows up in your daily life all the time, but perhaps you just don't know it yet. 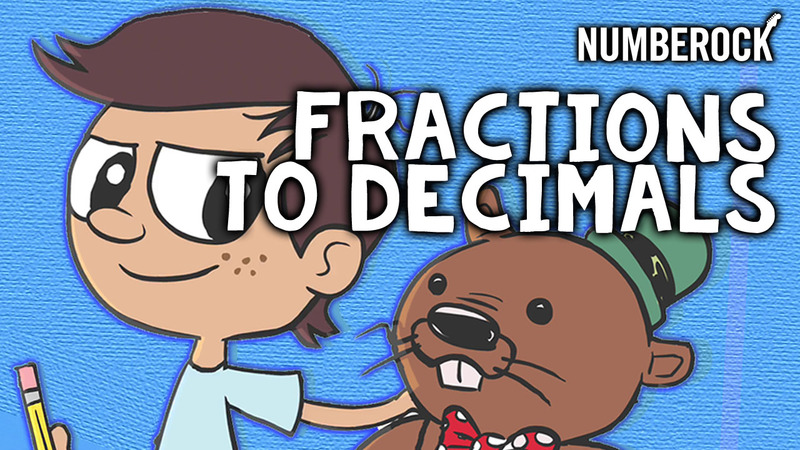 Multiplying Fractions and Whole Numbers together is often termed finding the fractional part of a whole number. We teach you why in this song. 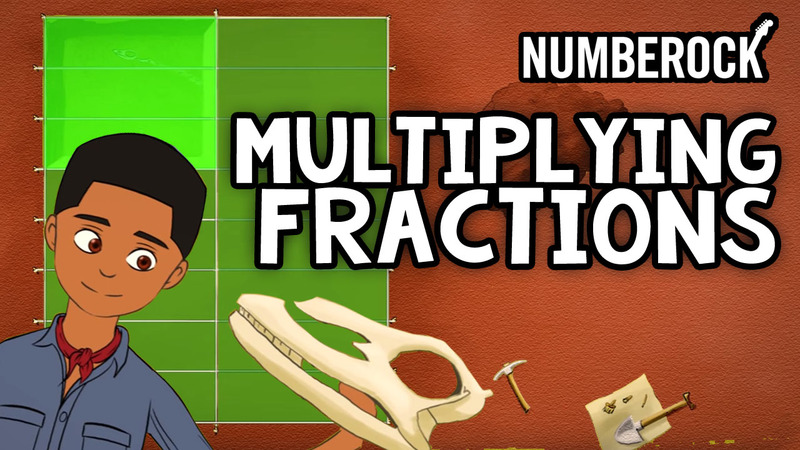 Enjoy the Multiplying Fractions by Whole Numbers video! I was running 8 miles away. I had already run 3/4 of the way. To find how far I'd traveled from my front door. I did 8 times 3 and got 24. Then I divided by 4 and I got 6. Six miles I had run in my brand new kicks! 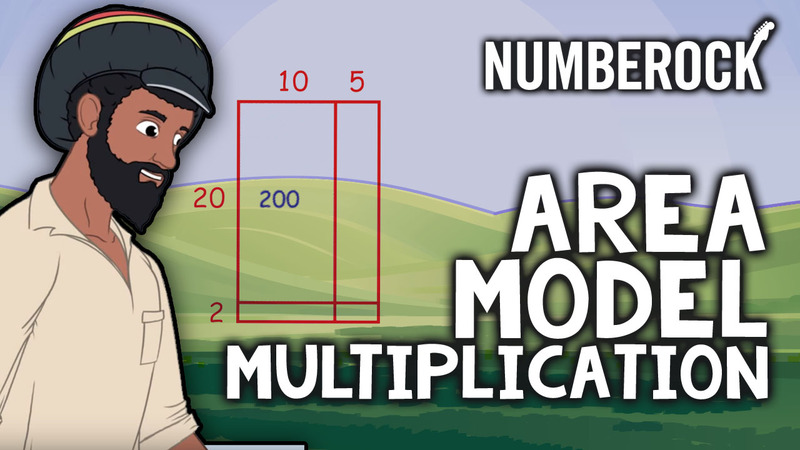 Multiplying whole numbers by fractions is awesome. Yea! Well here's a similar problem. We'll not have forgotten. 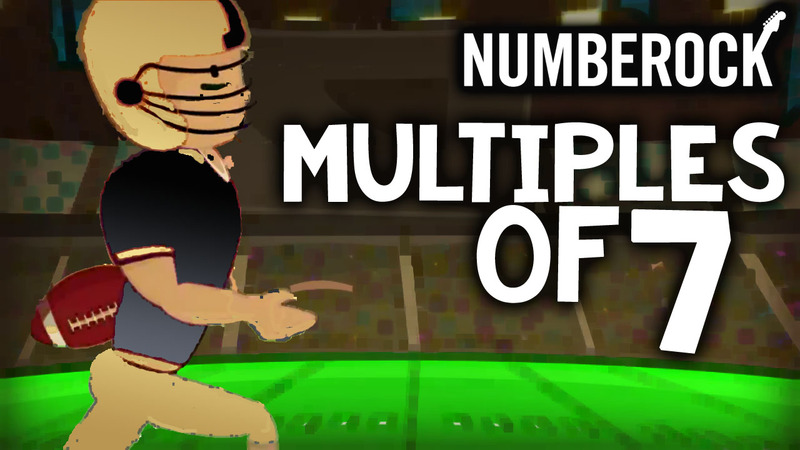 Multiply by the top. Divide by the bottom. I was riding to the video game shop. I had ridden 5/6 of 12 city blocks. How far I had gone is what I wanted to find. 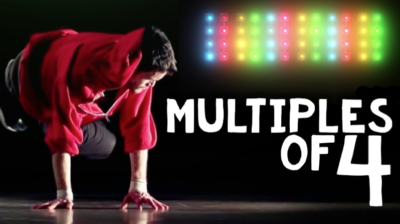 12 Times 5 is what I multiplied. I got 60 and then divided by 6. I had ridden 10 blocks and did a cool bike trick. 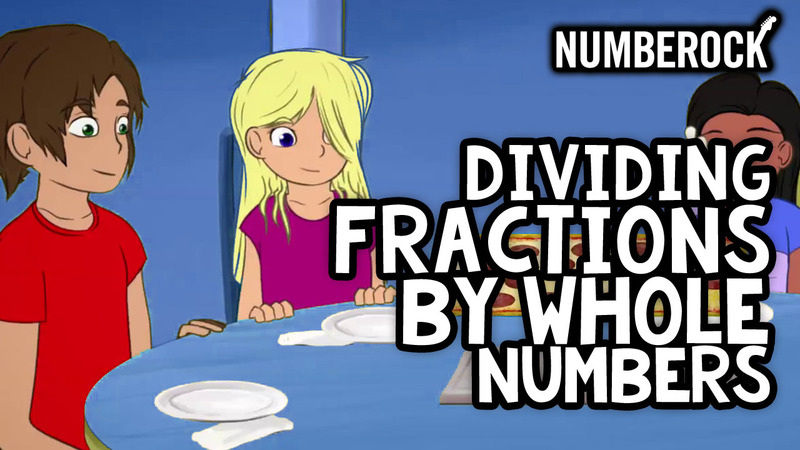 A girl used repeated addition to see..
if she could use the strategy to solve 1/2 times 3. She thought fast, and then it came like a FLASH! 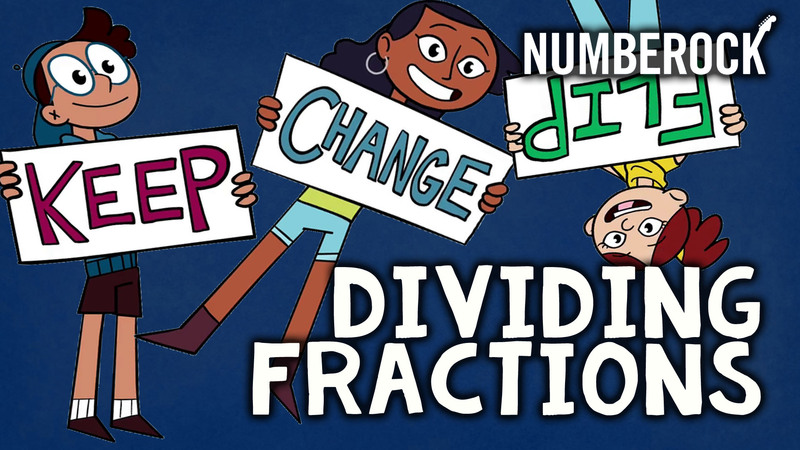 That 1/2 + 1/2 + 1/2 is 3 halves. She converted 3 halves to 1 and a half. She had a crush that would last. 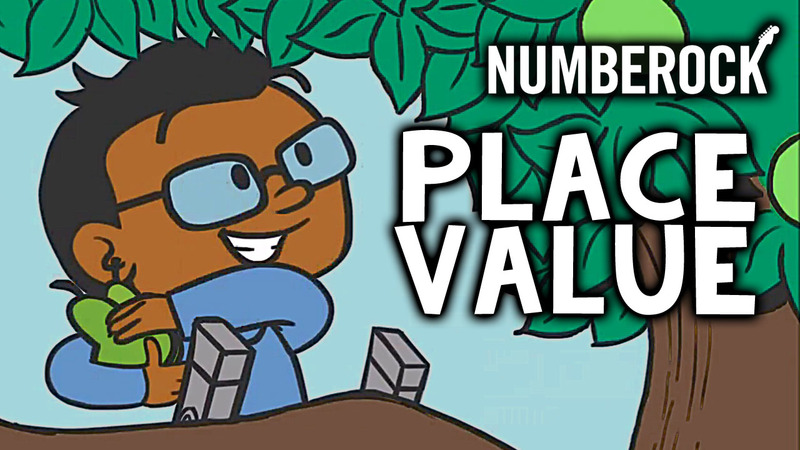 It was a crush on MATH!